For my first real post here, I thought I'd start things off simply with a little swatching action! 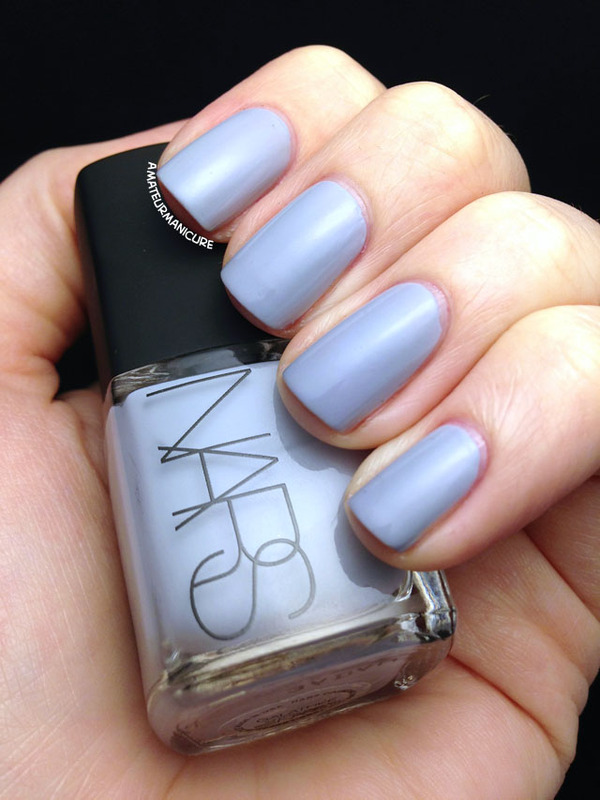 This beautiful dove grey is Galathée, a new fall 2013 shade by NARS. I've often admired NARS polishes, but they're pretty pricey, so I never gave in to the temptation to buy one until now. I've been in the market for a nice, versatile grey for a while now, however, so when I saw Galathée on the store shelf, I just couldn't resist. And I'm so glad I didn't! The polish itself went on beautifully—two normal coats provided great coverage and the polish was super easy to control on the brush. (I had to do almost no cleanup here, and my hand isn't the steadiest.) The color is also very flattering and looks great either by itself or as a base for some nail art. My only complaint about the polish is the drying time. After nearly 45 minutes, my two coats were still pretty tacky and picked up fingerprints easily. I went ahead and added some quick-dry top coat at that point because I had to head out for a party, but I noticed that even three or four hours later, I could still dent the surface of the polish if I really wanted to. That one issue aside, however, I would still recommend Galathée if you're in the market for a grey polish and want to splurge a bit. And I'll definitely be buying more NARS polish based on the overall great performance of this one. Just be sure take the extra drying time into consideration if you're in a rush or want to use it as a base for some nail art!